Below are my notes, which I’ll add to as and when I gather more information. Please click thumbnails for larger images and do leave a comment if you have any information to share. The Chinese and Japanese equivalents below can be used as substitutes. You may also find the flours from the same plants/grains produced from specialist millers, such as Bob’s Red Mill from the US (some products are wholegrain, some are organic, but not all – read label carefully). However, there may be differences in the strain of plant used to produce the flour, whether the whole grain is used, the manner in which the flour is produced and the final texture of the flour. For example, Chinese rice flour is made from long grain rice, whereas Japanese rice flour is milled from Japonica/calrose short grain rice. When cooked, these two types of rice are quite distinct in texture and taste so their flours can be expected to be a little different as well. So if you are concerned to get the exact results then use Japanese-produced flours for a Japanese recipe, and Chinese flours for Chinese dishes. Personally, my priority is to learn about different ingredients and simply produce something palatable to myself rather than worry about culinary purity. These flours provide opportunities for food rotation and finding flours that won’t produce an intolerance reaction. However, it can be difficult to find all of them in a health food store or be able to obtain organic versions. Bob’s Red Mill produces quite a lot of these speciality flours but not all are organic, and in Singapore they are ridiculously expensive and the more unusual varieties are not widely sold here. 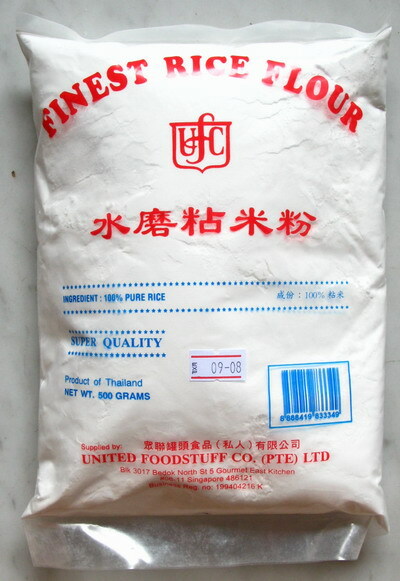 Flours for Chinese snacks are produced for commercial retail in various Asian countries such as Singapore, Malaysia, Thailand and China, and it’s hard to know if there have been any chemicals or bleaches used in the processing. 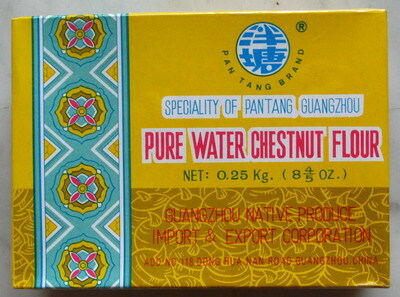 “Hong Kong flour“, for example, is a highly-bleached wheat flour to help produce very white coloured bao. All flours for Chinese snacks are available at Phoon Huat, a large variety at NTUC, and limited types at other supermarkets. For Japanese flours, head to Isetan Scotts and Meidi-ya supermarkets and even Daiso (only $2 a packet!). The widest selection of Bob’s Red Mill I’ve seen is at Vivocity’s Naturally Marketplace (run by Cold Storage). 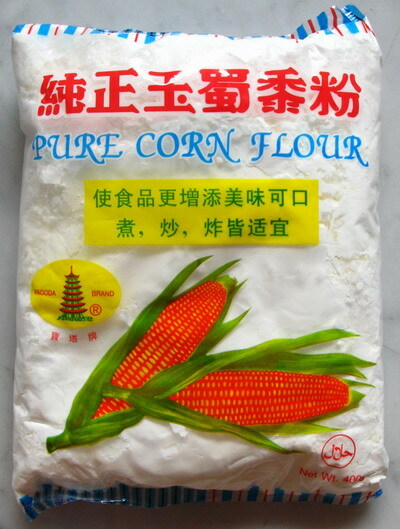 I have not listed all the uses of the flours as Jo’s Deli Bakery has already done an excellent job, see this page on flours for baking, Chinese dim sum & Southeast Asian desserts. Many of the Chinese flours function as thickeners, so do have a look at Cook’s Thesaurus on starch thickeners. For a detailed description of Japanese flours and ingredients, see Konny’s page. Baking911.com on flour has detailed explanations of flour for baking, both wheat and non-wheat, with more information on the former. The Wikipedia entry on flour also includes a basic description of non-wheat flours. If you read Chinese, 阿春 explains a wide range of different flours used in Chinese cooking. Check out also these gluten-free baking tips (uses soy flour, potato flour, tapioca flour, rice flour and corn flour). And always useful is this Chinese-English baking glossary. 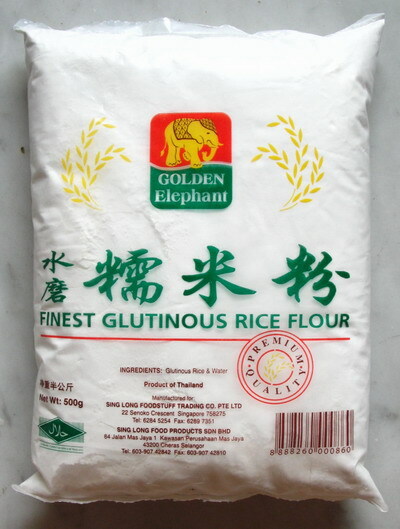 Notes: Chinese rice flour is made from long grain rice, Japanese rice flour from short grain rice. Rice can be made from cooked or raw rice and can be dry-milled or wet-milled. Read more about the rice products and their methods of production here. Notes: In the book, Dim Sum by Chan Chen Hei, the corn flour used is specifically Kingsford brand of high-quality cornflour. In some recipes, such as Sweet Bean Cake with Ginseng 高麗參眉豆糕, the recipe says using other kinds of cornflour will not work. However, I checked a packet of Kingsford cornflour in a Hong Kong supermarket and found that it contains sulphur dioxide, a preservative that may cause food sensitivity reactions, see more information from the Food Intolerance Network here. Notes: Research shows bracken to be carcinogenic, read here. Can you substitute rice flour for wheat starch? Please note that my above answer was far from complete. I have done more research and written a more thorough reply below. HI…. I’ve a recipe for Singaporean Chwee Kueh (Steamed Rice Cakes) that requires equal quantities of corn starch and wheat starch. It is said that wheat starch adds “bounce” to the steamed cake. Is that correct? Thanks for the question, which has forced me to relook my previous suggestion that wheat starch is only to create a glossy texture and do more research. Wheat starch serves both aesthetic (creates a glossy texture) and textural functions. I assume that your Chwee Kueh recipe is largely rice flour with cornflour + wheat starch. The cornflour and wheat starch have a softer ‘set’ than rice flour so they make the kueh more soft & silky in texture, or ‘bounce’ as your recipe says. Wheat starch has more powerful thickening properties than corn flour, so the relative proportions of the three flours will affect the overall texture. Hence, substitution of flours can only be done to some extent and will have an effect proportional to the amounts of each flour used. I have often substituted or omitted flours, for example if only a small amount of wheat starch is called for I have omitted it, and still achieved an acceptable result. may i know if Singapore sells mugwort powder? Sorry, I’m not sure. maybe other readers here can help out? Can i add cornstarch to normal unsweetend rice flour and get the same results as Shiratamako??? hi, first time visit your blog. 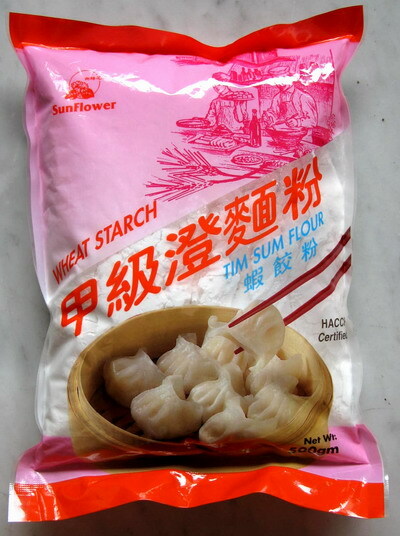 may i know where can buy the Wheat starch in malaysia? I have been looking it forever,thnx. hello, I’m sorry I don’t know about shops in Malaysia. maybe other readers here can help out? CAn i use the rice flour to prepare steamed buns ? Or is there a specif flour for that ? do check specific recipes for steamed buns. in any case, most buns use at least some wheat flour. if you are looking for wheat-free recipes, try steamed Chinese “cakes”.